Runs well on low-end hardware, especially laptops. 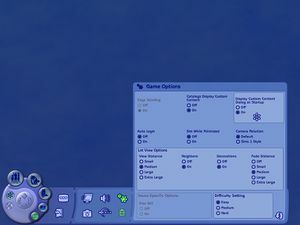 This game uses a slightly modified version of the The Sims 2: Seasons engine and most fixes and some mods for it also work here. This game has a lower texture quality than The Sims 2. Frame rates up to 120 FPS have been observed. Toggling Vsync can cause the game to hang. 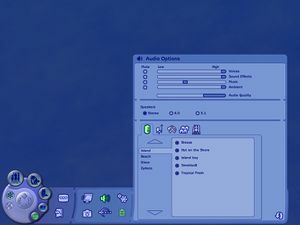 Vsync can only be toggled using the Cheat Console (Ctrl+⇧ Shift+C) and using either the 'vsync off' or 'vsync on' command. Periodically, special object may be placed in a bad location, preventing a sim from doing anything. In other cases, a normal object may be improperly tagged as "in use" and cannot be moved, sold, or manipulated. 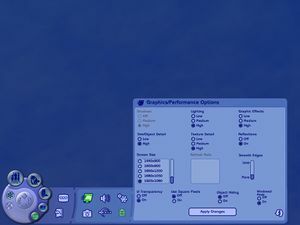 This problem can only be fixed with a mod, as moveobjects on cheat is disabled for this game. While in game open "Barter Mode" (Buy mode) and in "Nature" section and you will find yellow box. Place the box where your stuck object is. Go back to "Live Mode" and you will receive notification that object has been eliminated from your lot. If the Downloads folder is missing, create it. 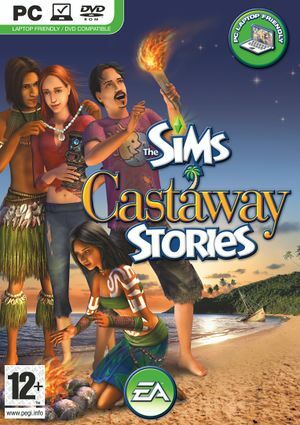 ↑ Castaway Stories - TSCS - Awful textures?